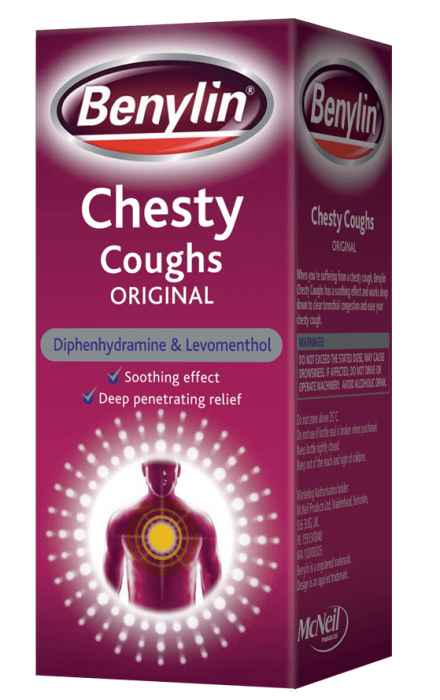 BENYLIN® Chesty Coughs Original provides deep penetrating relief and a soothing effect that allows you to get on with your day. Active ingredient diphenhydramine hydrochloride is an antihistamine and works by relieving a cough. Diphenhydramine also helps dry nasal secretions by preventing the natural body chemical histamine from binding to its receptors and producing a runny nose. Levomenthol works to relieve stuffiness in the nose to help make breathing easier. What is a chesty cough? Chesty coughs are caused by a build-up of phlegm in the lungs and on the chest. The cough mechanism kicks in to try and get rid of this excess mucus. Can't find BENYLIN® Chesty Cough Original? Do not take more than 4 doses in 24 hours. If symptoms persist, talk to your doctor or pharmacist. *All coupon offers are subject to availability and promotional offer. We reserve the right to change coupon offers at any time. BENYLIN® Chesty Coughs Non Drowsy, BENYLIN® Chesty Coughs Original, BENLYIN® Chesty Cough & Cold Tablets, BENYLIN® Dry & Tickly Cough Syrup, BENYLIN® Mucus Cough Max Honey & Lemon Flavour Syrup, BENLYIN® Mucus Cough plus Decongestant Syrup, BENYLIN® Mucus Cough Night, BENYLIN® Mucus Cough & Cold All in One Relief Tablets, BENYLIN® Dry Coughs Night Syrup, BENYLIN® Children’s Dry Cough & Sore Throat Syrup, BENYLIN® Children’s Night Coughs, BENYLIN® Cold & Flu Max Strength Capsules, BENYLIN® Cold & Flu Day & Night Max Strength Capsules, BENYLIN® 4 Flu Tablets, BENYLIN® Day & Night Tablets. BENYLIN® Children's Chesty Coughs Contains Guaifenesin. BENYLIN® Mucus Cough Max Menthol Flavour Oral Solution Contains Guaifenesin. 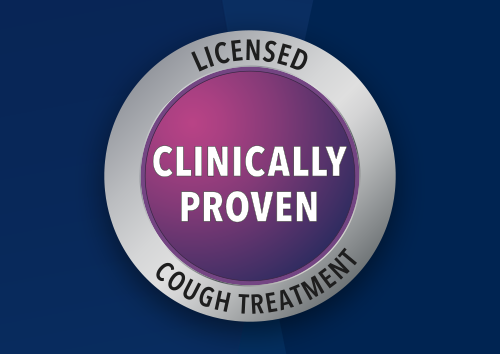 BENYLIN® Dry Cough 7.5mg/5ml Syrup contains Dextromethorphan. BENYLIN® Infant’s Cough Syrup Contains Glycerol. © Johnson & Johnson Limited, 2017 This site is published by Johnson & Johnson Limited which is solely responsible for its contents. It is intended for a UK audience. BENYLIN® is a registered trademark. Site last updated: 01 October 2018. Ask your pharmacist for advice. The products discussed herein may have different product labelling in different countries. The health information contained herein is provided for educational purposes only and is not intended to replace discussions with a healthcare provider. 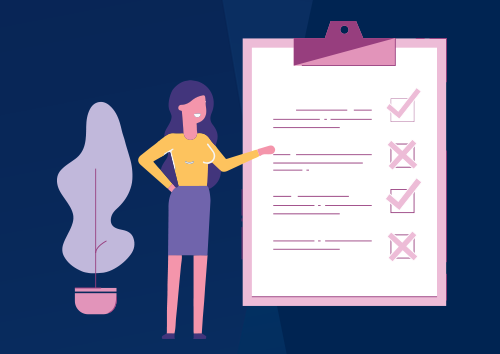 All decisions regarding patient care must be made with a healthcare provider, considering the unique characteristics of the patient.